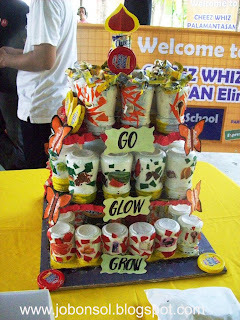 Event: Kraft's Cheez-whiz launches PALAMAN-tasan! In fervent advocacy to give back and foster proper nutrition to Filipinos, Kraft Cheez-Whiz launched PALAMANtasan - the first interschool competition among grade school students nationwide in a quest for nutrition education. Contests held at Tipas Elementary School (Tapat Division) were, Jarchitecture or Jar Art, Speech Choir, Sandwich Making and Essay Writing plus extra games and activities for all school children and parents who participated this event July 10, 2010. 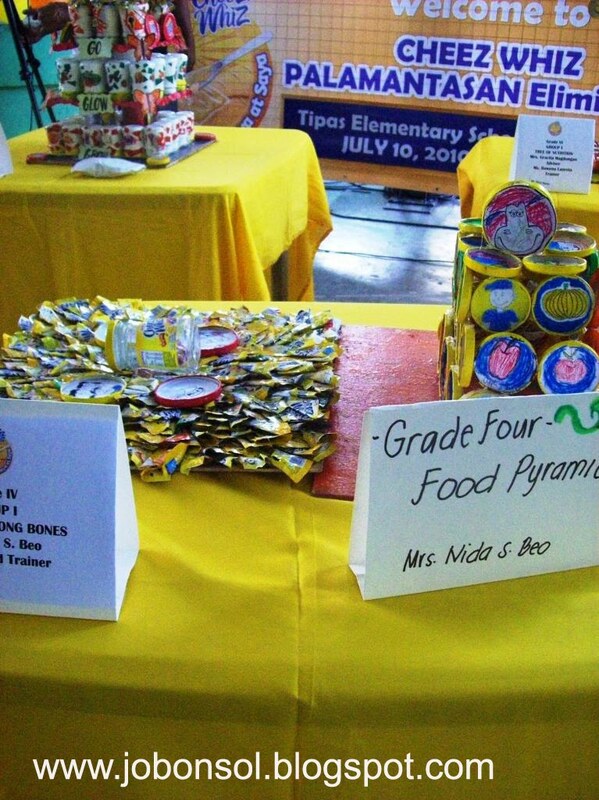 In cooperation with DepEd and ABS-CBN, Palamantasan showcased talents of grade-schoolers in the said series of contests showing creativity and enthusiasm to learn proper nutrition in the school. 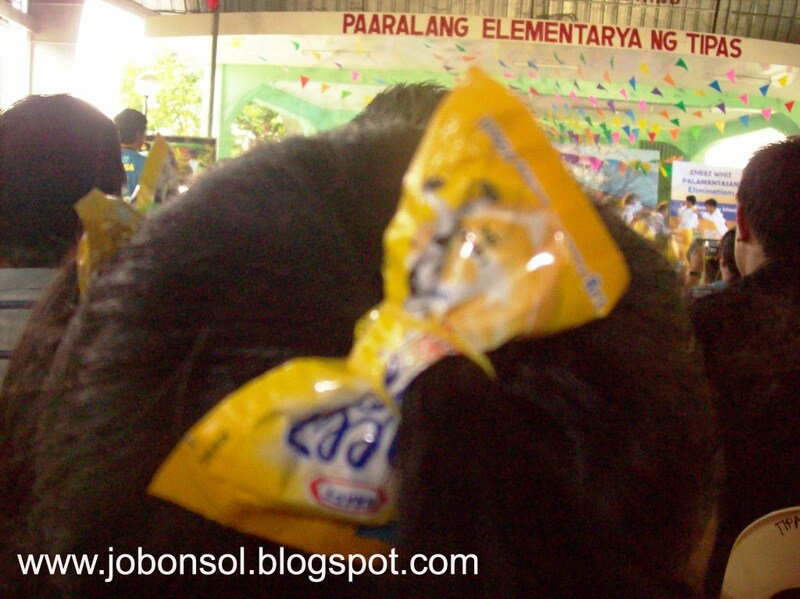 "These schoolchildren are at the stage of developing a sense of responsibility", said Paolo Serrano, Brand Manager of CheezWhiz, Kraft Foods Philippines. He explained, "This is why we want them to realize the significance of proper nutrition themselves-through a series of fun, creative and learning activities." Education is still the key. 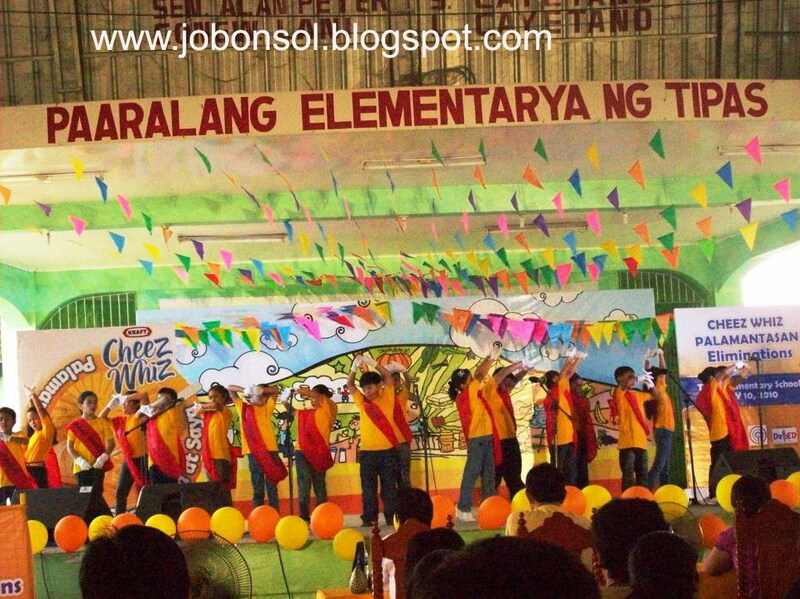 Kraft CheezWhiz chose to participate in the celebration of Nutrition Month among other school activities to further raise public consciousness. "School is second to home where children learn basic lessons and values. ", said Alex Dan Tacderas, Category Manager of for Cheese and Spoonables, Kraft Foods Philippines. 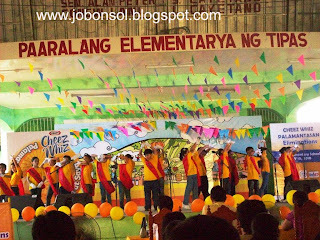 He also said that this was why CheezWhiz wanted to direct the cause and execute the program in schools - in both enjoyable and educational way". 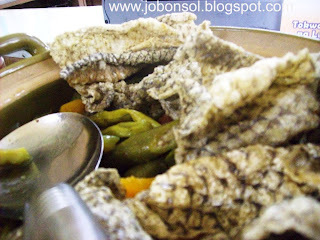 Media sampled the dishes inspired with CheezWhiz in congruent to healthy school canteen food like OH MY GULAY- Deconstructed Pansit Molo with Malunggay Leaves. 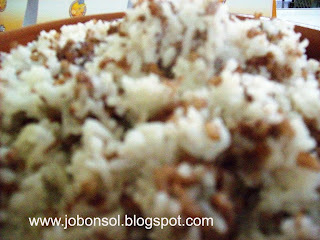 KAIN-AN NA PARA SA IYONG SIGLA AT ENERHIYA - Mixed Brown Rice and White Rice. 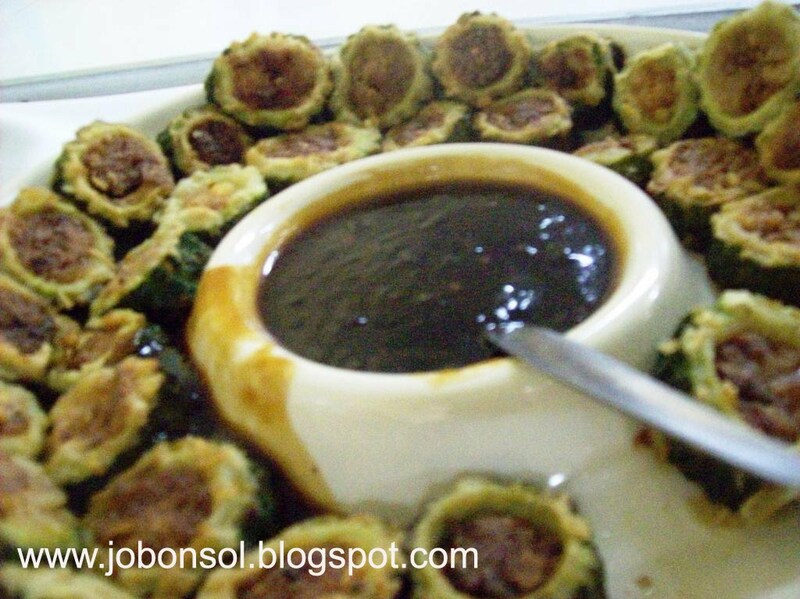 AMPALAYA SIKSIK SA SARAP AT SUSTANSYA - Cheesy Rellenong Ampalaya with Oyster Sauce. 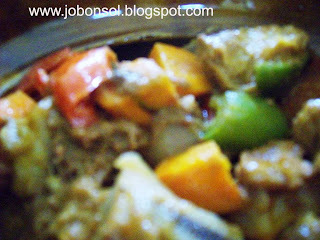 BURGER AT BEEF - BUSOG SA SARAP NA BBLIKAN - Beef Caldereta with CheezWhiz Burger Flavor. ISDA-GULAY, COMBO NUTRISYON- Pinakbet with Fishcharon. 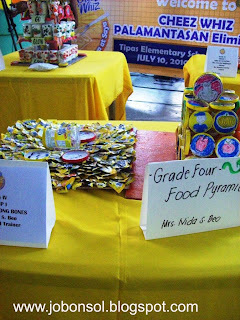 Proper nutrition will shape great minds and what better way to spread the good word but with the gradeschoolers of Tipas Elementary School. I salute Kraft Foods Philippines in coming up with great ideas to help improve nutrition nationwide and I hope that the competition will gain recognition and will be participated by not just elementary school children but soon to span the high schoolers. Did you know that 8 million Filipino children are malnourished? In fact, the rate of increase of hungry Filipinos is at 15.1 % annually which means that the number of hungry Filipinos rise exponentially every year and the very alarming reason was due to lack and ignorance to proper nutrition. We can all help alleviate hunger by simply learning proper nutrition. Please teach your children proper nutrition and help advocate nutrition education in schools.